Indonesian known Lion Air as an airline that associated with followings: delays; no meals; bus connection from airplane to terminal building. However, today, I experienced one of those thing: travel by bus. My flight from Jakarta was using Emirates. 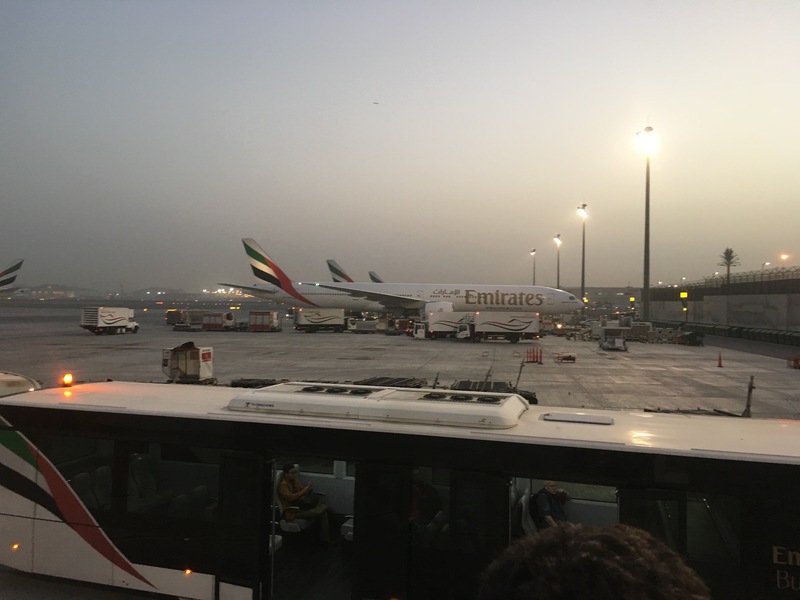 I arrived in Dubai on schedule : 05.05 local time. After waiting for approximately 10 mins, we were allowed to exit from the airplane and proceed onto the exit door. Wow, there was no bridge that connecting the exit door and the terminal building. Instead, there were some buses queing. The business class’ passengers enter the first bus followed by economy class passenggers. We were waiting (again) for approx 20 mins until the bus moved forward. I thought it would be a short hop. Despite. We spent more than 30 mins to reach the terminal building. What a ride. Moreover, I spent another 20 mins walking to gate A18 for my connection flight. I remembered one of the passengger from Indonesia said “well done. I paid a lot of money to purchase the prestigious flight to continue my travel with this bus”.